As many of you may know, I am an information junkie and game show trivia fanatic! Truth be told, I’m a nerd in stilettos. On any given day, when I’m not immersed in creative writing projects, projects around the house, or using my “super powers” for do-gooder’s duties, I’m engrossed in this form of entertainment. One of my favorite game shows, (other than the ever-popular Jeopardy), is a game show that tests the knowledge of successful, professional, college educated folks, through some 5th grade fundamentals, and bears the same title of this column. If you’ve never seen it, I highly recommend it for the educational and entertainment value. (Check your local listings for specifics). Based upon some experiences that I’ve had over the last year or so in interacting with others, I’m inclined to scratch my head and ask, “Are you smarter than a 5th grader” when it comes to life, love and emotional intellect? Or are you a lifetime member of what I like to call “the clueless club”? I pose this question not to offend, but to enlighten. Much to my surprise, what I’m finding is that “common sense” ain’t really all that common! Not to mention, far too many folks are missing out on the life they desire and deserve due to poor choices, bad habits, a lack of awareness, closed mindsets and bitter hearts. A relative of mine is dating a guy who can’t stay on a job for more than 2 or 3 years. He’s like a corporate gypsy. He challenges authority figures, feels he knows it all, and refuses to be a team player. He lacks the savvy to realize that when you‘re employed by others you either dance to their tune or start your own band! Still, he can’t seem to connect the dots. He sees himself as the eternal victim and never learns from his mistakes. Let’s face it; we’ve all worked for a “stupid-visor” or two who couldn’t even manage their own personal lives, let alone a business. Nonetheless, personal responsibility, wisdom and the fear of starvation dictated that we keep our mouths closed and do what was required to get the job done and get through the day. Am I right? Like all areas of life, you find good bosses and bad. It’s a reality of life. Here’s another scenario. Some time ago, I had a “fan” that wrote in to me to share how she had been having difficulty at work due to differences of opinions with co-workers and the subsequent back-lash and brush-off she received. Huh? I rather enjoy engaging in conversations with folks who have different philosophies, religious beliefs, and world perspectives. It’s how we grow! After all, the true sign of an intelligent mind is an open one. You don’t have to necessarily agree with others; just respect their right to hold an opinion that’s different than yours. Don’t get all huffy and puffy and bent out of shape. Take a chill pill! If God would have wanted us to all think alike, he would have given us all the same experiences, personalities, racial identity, and backgrounds. Do you lack long-term friendships or relationships? If so, you might want to look at your socialization skills, fear of commitment, or ideologies on relationships. Are you making progress in your personal, financial, or business goals? If not, consider trying a different strategy, or determine if your goals are realistic. Or even better, hone your skills. Do you keep making the same mistakes over and over again? Learn the lesson then move on! Do a reality check and act accordingly. Keep in mind that life is a virtual classroom whereby we each are promoted based upon our discernment, diligence, and desire to succeed. Put these pointers in to practice and not only will you be smarter than a 5th grader, you’ll move to the front of the class in no time! 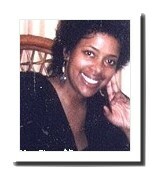 Jennifer's Gems is a weekly column written by award-winning poet and writer, Jennifer Brown Banks. It is published every Wednesday. Click here to read her welcome letter.